Securing Urban Heritage considers the impact of securitization on access to urban heritage sites. Demonstrating that symbolic spaces such as these have increasingly become the location of choice for the practice and performance of contemporary politics in the last decade, the book shows how this has led to the securitization of urban public space. Highlighting specific changes that have been made, such as the installation of CCTV or the limitation of access to certain streets, plazas and buildings, the book analyses the impact of different approaches to securitization. Claiming that access to heritage sites is a precursor to an informed and thorough understanding of heritage, the editors and contributors to this volume argue that new forms of securing urban heritage, including community involvement and digitalization, offer possibilities for the protection and use of urban heritage. 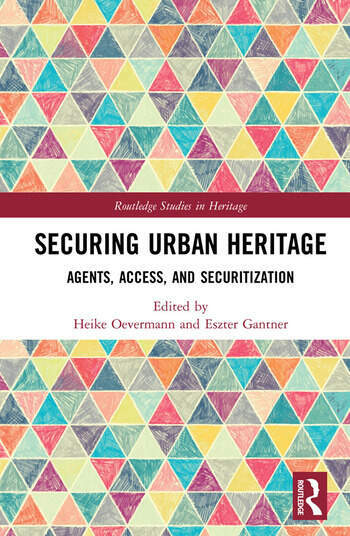 Looking more closely at the versatile relationship between access and securitization in this context, the book provides a theoretical framework for the relationship between urban heritage and securitization. Comparing case studies from cities in Angola, Bulgaria, Eritrea, France, Germany, Hungary, Italy, Japan, Latvia, Mexico, Norway, Russia, Suriname, Sweden, Turkey, UK, and the US the book reveals some of the key mechanisms that are used to regulate access to heritage sites around the world. Providing a much-needed insight into the diverse challenges of securitization for access and urban heritage, Securing Urban Heritage should be essential reading for academics, students and practitioners from the fields of heritage and urban studies, architecture, art history, conservation, urban planning and urban geography. Heike Oevermann is a postdoctoral researcher and lecturer in interdisciplinary in urban and heritage studies at the Georg Simmel-Center for Metropolitan Studies, Humboldt Universität zu Berlin in Germany. Eszter Gantner is a postdoctoral researcher with a focus on urban history and heritage studies at the Herder Institute for Historical Research on East Central Europe in Marburg, Germany.